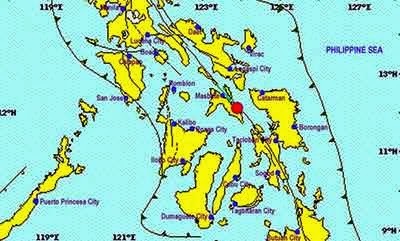 MASBATE CITY—A 3.8-magnitude quake rocked Masbate at 6:02 AM today, December 9. According to the Philippine Institute of Volcanology and Seismology (PHIVOLCS), the quake was tectonic in origin. Its epicenter was recorded at 12.11°N, 123.90°E - 043 km S 52° E of Masbate.